Chichi and Bubu For President! In honor of the approaching end of term of the Obama’s, Serena and her amazing team of artist, gave Chichi and Bubu a makeover to represent Barack and Michelle. 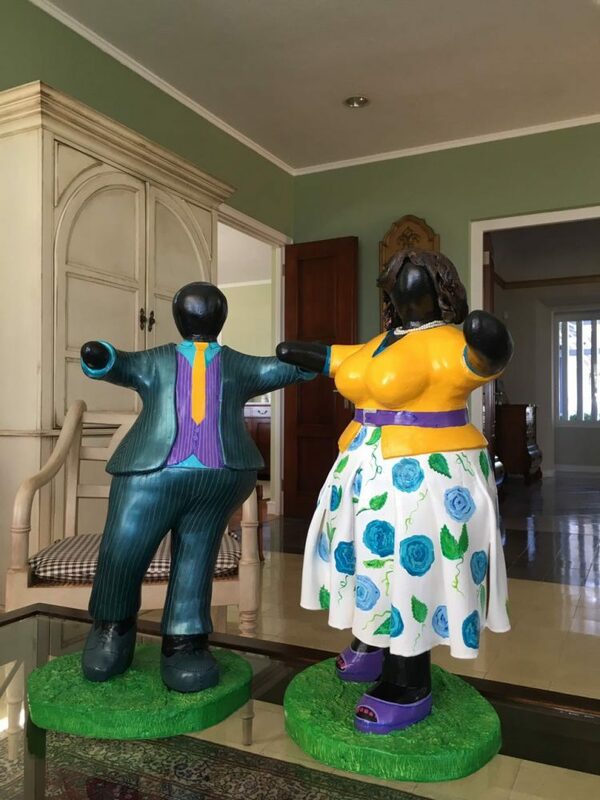 The result was so amazing that the Chichi Fans suggested that we should give the two sculptures to the presidential couple. 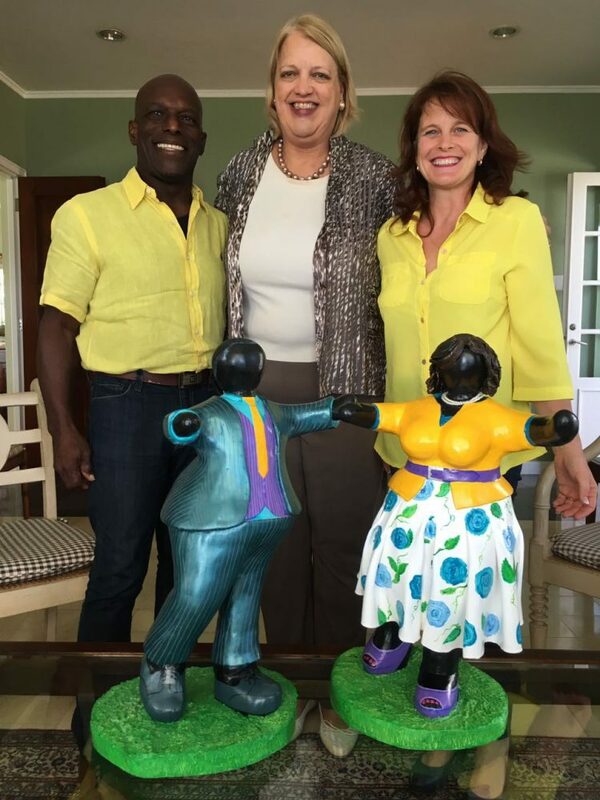 So Serena and Michael visited the consulate last week to offer the sculptures as gifts and by that maybe persuade the president and his wife to visit our fantastic Island. If the mission was accomplished we will hear in a couple of weeks. So Fingers crossed!